A large passage in the Torah is devoted to the explanation of the laws of a metzora (one afflicted with Tzara'as) and his purification process, which he must undergo to retain his ritual purity. A metzorah is commonly mistranslated as a leper, and his disease, leprosy. However, in reality, Tzara'as is not the skin disease caused by a slowly reproducing Mycobacterium. Although a spot of Tzara'as is called a nega (and pluralized in the name of the Mishnaic tractate dealing with its laws, negaim), which means affliction or plague, as leprosy is, the literal translation of neg’a is “touched.” This refers to the fact that a metzora is “touched” by the hand of G-d, and receives this sort of physical blemish (whether on his body, clothing, or house). Tzara'as is unique in that it is a spiritual disease manifested through a physical appearance. Throughout Rabbinical and Biblical literature, a Metzora is usually looked at as a person who is castigated by HaShem. Rabbi Shlomo Efraim of Luntchitz (1550-1619), records an opinion that Tzara'as is a naturally occurring disease; however, Rabbi Samson Raphael Hirsch (1808-1888) vehemently disagrees. The etymology of the word “leprosy” comes from the spotted animal known commonly as a leopard. According to the Midrash , the word metzora is an abbreviation of motzei Shem r’a, the Hebrew phrase for a slanderer whose punishment is Tzara'as. Tzara'as is obviously not leprosy. Marks of Tzara'as can appear on one’s hair, clothes, and house, in addition to on his body. Leprosy is a purely biological malady and so, inherently, cannot materialize on lifeless objects such as garments or a home. Furthermore, in order for a spot to be termed a nega of Tzara'as it must be one of the four shades of white as described in the Mishnah. If Tzara'as is synonymous with leprosy then the color should not make a difference; therefore, any color, and surely any shade of white, should be classified as Tzara'as. In addition, the strict halachik definition of Tzara'as is a blemish that a Kohen has deemed Tzara'as, accordingly, despite its physical appearance and symptoms, only the Kohanic pronouncement as a spot of Tzara'as transform any spot into a nega. Tzara'as only applies within the Land of Israel; if it is only some form of leprosy, it should apply in every locale. The Talmud says that one who is afflicted with Tzara'as is receiving “pains of love” from HaShem. The Talmud further qualifies this statement by explaining that is only true outside of the Holy Land, but within Eretz Yisroel, where Tzara'as is grounds for isolation and quarantine, such an affliction is a punishment. The pain involved in Tzara'as –whether physical or spiritual—is used as a means of comparison to unfortunate situations. The “Alphabet of Ben Sira” compares a bad wife to Tzara'as and divorcing her heals him from his affliction. The Talmud states many times that the situation of a convert to Israel attempting to adapt and integrate is as difficult as a sapachas, a type of tzara'as. Rabbi Akiva Eiger of Posen (1761-1837) points out that the Rambam had a version of the Gemara, which compared it to a nega of Tzara'as directly, not just specifically a sapachas. The Talmud learns from the verses dealing with seis and sapachas (types of negaim) that one who conducts himself with haughtiness is going to experience an eventual downfall and despite his initial attitude of priority in the world, he will become secondary. Rashi writes that Tzara'as on one’s house is a punishment because one then has to remove all the vessels in the house and neighbors will see exactly what is and is not owned (despite what the owner said was owned). 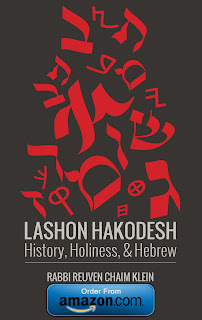 The Midrash states that there are ten sins for which a Jew is punished with an affliction of negaim: idolatry, sexual immorality, murder, desecrating the holy name, cursing the holy name, stealing from the public, stealing other's belongings, haughtiness, spreading lashon harah, and an evil eye. The Midrash elaborates on the sources for all of these by exegetically expounding various verses throughout Tanach. 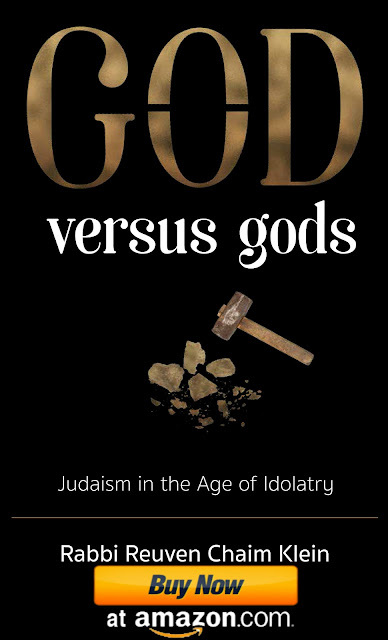 Idolatry is learned from the Jewish people who committed idolatry at Mount Sinai with the Golden Calf and were thus stricken with Tzara’as. The daughters of Zion conducted themselves with sexual indecency, and thus they were punished with Tzara’as. Joab murdered various people throughout the books of Samuel and was eventually afflicted with Tzara’as. Gehazi desecrated the name of heaven by accepting a gift from Na'aman, thus was struck with Tzara'as. Goliath cursed HaShem and consequently he was fittingly punished with Tzara'as. Stealing from the public is punishable with Tzara'as as is seen from Isaiah 22:17. King Uziahu conducted himself with haughtiness and stole certain rights belonging to the Kohen Gadol. Soon after, he developed signs of Tzara'as. Furthermore, the Midrash implied from Leviticus 14:35 that an evil eye is also punishable with Tzara'as. Miriam, the sister of Aharon and Moses, spoke disparagingly about her latter brother to her former brother; consequently, she ended up quarantined as a metzora'as (female form of metzora). This type of evil speech is the most famous cause of Tzara'as. In addition to Miriam, Aaron was also punished with Tzara'as for merely listening to the slander said against his younger brother Moses. In a separate incident, Moses himself was punished for dishonoring the Jewish nation by claiming that they will not listen to him; that is why his hand was to turn snow-white with Tzara'as when he appeared before the King of Egypt. Even King David was once afflicted with Tzara'as , and as a result, he temporarily lost his prophetic insight and the Sanhedrin separated from him. In Late Tannaic times, Abadan slighted certain Torah scholars by stepping on top of them and as a result, immediately thereafter, his two sons drowned, his two daughters-in-law refused their husbands, and he himself was struck with Tzara'as . Although Tzara'as and its implications in purity apply only to Jews (as learned from Leviticus 13:2), non-Jewish dignitaries who have some connection to Jews are also sometimes susceptible to becoming afflicted with Tzara'as. The simple reading of Exodus 2:23 is that Pharaoh, a certain head of state of ancient Mitzrayim/Egypt, died. However, Rashi explains that he was actually afflicted with Tzara'as, which is considered tantamount to death. Naaman the Syrian, commander of army of the king of Aram was afflicted with Tzara'as because of his anti-social behavior and arrogant attitude. Namaan the leper was eventually miraculously healed through the advice of Elisha the prophet who told Na’aman to emerge himself into the Yarden/Jordan River seven times. When Gechazi, a student of Elish’a accepted a gift from the Syrian general after being told by Elisha not to do so, Gehazi was struck with Na’aman’s Tzara'as. This is why Tzara'as is sometimes referred to as “Gehazi Syndrome.” It can be argued that the Crusade-era King Baldwin IV of Jerusalem (1161-1185) was afflicted with leprosy–or perhaps even Tzara'as —as a punishment for the harsh treatment that the Christians accorded the Jews during the Crusades. In order for one to be totally deemed impure because of Tzara'as, the spot must experience a growth, develop a dead skin inside, or develop two white hairs. If the white hairs were in the spot before the nega was there, the two hairs possibly do not render the man ritually impure. The Talmud relates that HaKodosh Baruch Hu (G-d) Himself said that in such a case the man is pure; however, the students in the Yeshivah of the Heavens disagreed and felt he should be rendered impure. Rabbah Bar Nachman was chosen to resolve the argument and decided in favor of G-d, just before his passing, that the law is that such a metzora is tahor (pure). However, the Rambam decides in practical Halacha, that he is tamei (impure), against the opinion of G-d because the Torah is not in Heaven to be decided there. Some explain that this entire episode was merely a dream. The Torah says that one who is afflicted with tzara'as is supposed to call out "Impure! Impure!" The Talmud explains that this is done so that others know that he is ritually impure, so that they can stay away from him. However, if this is the only reasoning behind the calling out, then the Torah should have obligated him to call out "Do not become impure [through contact with me]" not merely "impure". Therefore, Rabbi Dovid Povarsky (1902-1999) explains that there is another reason for the calling out: The Talmud elsewhere says that the purpose of the calling out is so that the afflicted could publicize his suffering and rouse the mercy of others to pray for him. Since the punishment of tzara'as is to counter one's anti-social tendencies, this dual explanation for the calling out "impure!" makes sense. This is because when the metzorah calls out "impure", his intention is to help the other man by warning him not to become ritually impure like himself, while the man who hears this declaration, if he is as selfless as he should be, understands it as a cry for help and then assists the metzora by praying for him. Accordingly, the double expression of "Impure! Impure" used by the metzora is justified because one refers to the metzora and one refers to he to whom the metzora is talking. This also explains why the Torah portions concerning the laws of the metzora are often read during the Sefiras HaOmer mourning period, for the mourning is because Rabbi Akiva's students were punished for not showing acting properly in their interpersonal relations. The lessons of the metzora are the antitheses to improper social behavior. The Mishnah teaches that HaShem punishes sinners in a similar fashion to their sin. When someone commits an anti-social sin— even if it is technically permitted, but is only against the social standards of society—he can be punished with Tzara'as. With such a punishment, the sinner must submit completely to another person (a Kohen) who is to decide his fate; he himself has no say (even if he himself is a Kohen, he cannot see his own negaim as the Mishna in Negaim rules). If deemed necessary, the unsociable sinner is punished by being forced to seclude himself from society for at least a week. During this time of solitary confinement, he is supposed to contemplate repentance and he should resolve to change his ways in order to be healed from the spiritual disease. One can look at the word Tzara'as as being a portmanteau of the words tz’ar (pain) and ‘ais (time) as if to tell the one afflicted that his pain is only temporarily and will eventually go away with proper repentance. Even though the laws of Tzara’as do not apply in present times because of the lack of Yovel (the Jubilee Year), the message is still clear: We are constantly to be reminded of G-d’s power over the physical realm as a means of punishment for a lack of adherence to His words. May it be His will that our must recent sufferings should act as complete atonement for the sins of Israel and that we should therefore merit to see the coming of the Messiah and the rebuilding of the Holy Temple, speedily and in our days: Amen. The Talmud assumes that the title “Adam” refers specifically to Jews, not Gentiles. See Nedarim 64b which cites a Baraisa equating Tzara’as with death. Yevamos 103b says that Tzara’as is halachikly comparable to death. Rabbi Chaim Brisker (1853-1918) says that not only is its ritual impurity analogous to the ritual impurity of a corpse, but even the Metzora himself is comparable to a dead person. See a similar argument in heaven concerning the Tefilin of Rabbeinu Tam and Rashi is recorded in responsa Min HaShomyaim §3. See Nazir 65b, Negaim 4:11, and the version of Negaim 4:11 quoted by Tosafos on Yevamos 110b. John Tayman writes about this issue in the Colony, which is about a leprosy colony on the Hawaiian island of Molokai. Hansen's disease (leprosy) has been around for quite some time, but in many cases it was not recognized as the leprosy of the Bible until the Middle Ages. Before a bacteriological test was discovered for leprosy, many people who had psoriasis, eczema, or even severe sunburn were diagnosed with Hansen's disease and exiled to Molokai. Is Job's affliction with boils at all related to Tzara'as? References to his disease are given in Job 2:7 and 7:5 and 9:30-31 and 30:11-18,30. Job's "comforters" talk to him as though his illness is spiritual.